Just popped over to say hi. 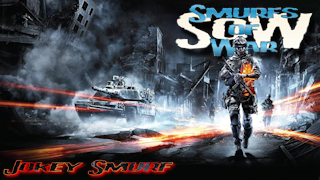 Btw Jokey Smurfylicious is an awesome track m8, keep up the good work. Ah Crap I forgot to login when I made the above post DOH!!!! Cheers Jokey. Err why can't I eat the mushrooms? Are they magical? Cos if so "Shroom Raid"
(FG)ScorpiusX wrote: Ah Crap I forgot to login when I made the above post DOH!!! !